Want to Learn about Senior Housing Options in the Twin Cities? Are you a senior or are you a family member of a senior who is looking to learn more about Senior Housing options? 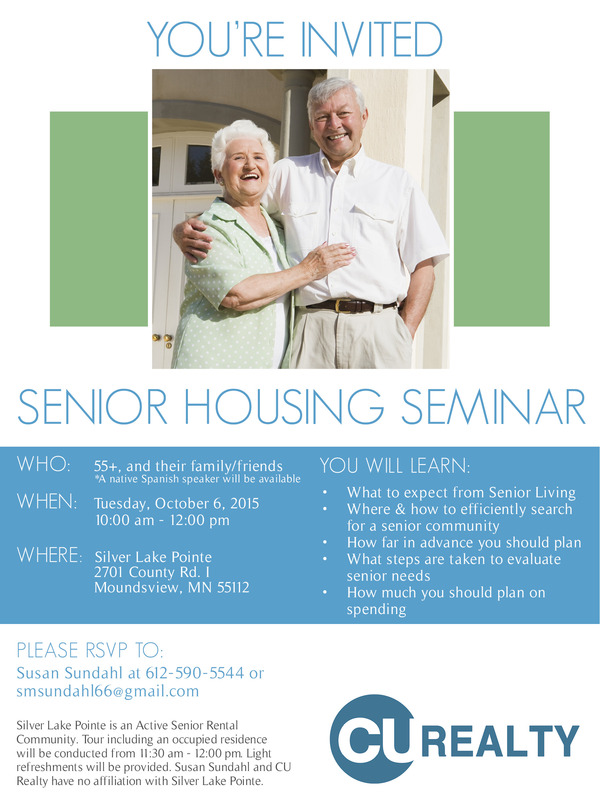 If so, please attend our CU Realty Senior Housing Seminar hosted by Susan Sundahl, Realtor, CU Realty on 10/6. Susan and guest speakers will covers many topics related to senior housing. To save your seat, RSVP to Susan at 612-590-5544.